Don’t miss out on the beauty event of the year! It’s officially spring so if you’re looking to upgrade or freshen up your skincare or makeup bag House of Fraser has you covered! Plus if you spend £50 or more on Beauty and receive £10 off* when you buy one of our beauty favourites below. Plus Double Recognition Points. Who doesn’t love a bargain! You can find the full list of products HERE. I’m always on the hunt for new beauty products and I discovered that my skin loves oils and serums! 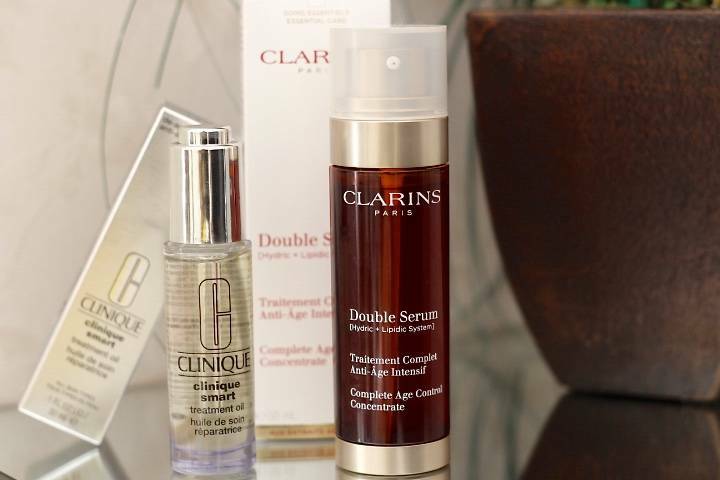 I’ve been using the Clarins Double Serum morning and evening after cleansing to give my skin a boost and instead of using a night moisturiser, I apply Clinique’s Treatment Oil. My face feels so hydrated and soft! So far so good. I’ll definitely be including these products in my highly requested skincare routine video so keep an eye out for that! You can never have too much makeup! 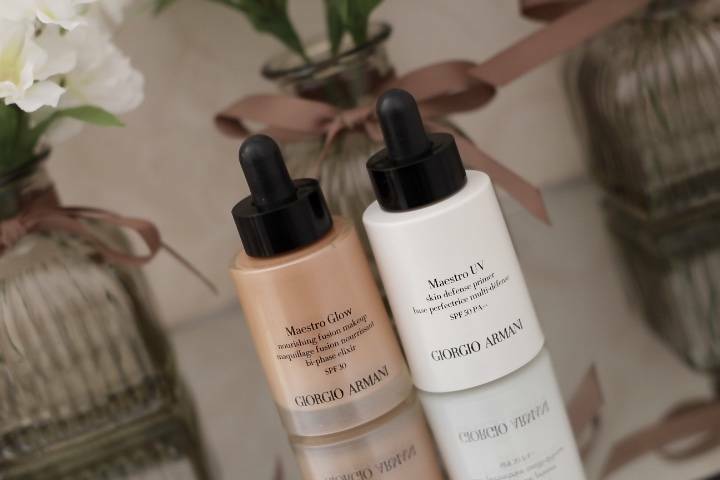 These two products by Giorgio Armani are the perfect addition to your collection. Maestro UV Primer is invisible on the skin which is amazing and it smoothes out your skin and covers your pores before applying your foundation. It has SPF 50 so you know your skin is definitely protected. Maestro Glow is a beautiful serum foundation so it takes care of your skin and a little goes a long way. The coverage is also buildable to get the look you are after without looking heavy. 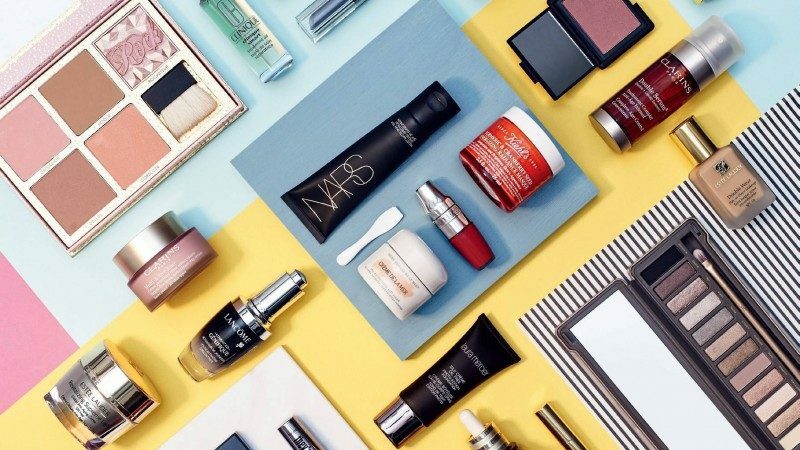 The #FraserBeauty event is ending this weekend 3rd of April, so head over to House of Fraser instore and online and grab some goodies! Here is the list of the 30 products included in the offer.